Sample pages have been provided from each edition. These are copyright, and are not necessarily indicative of the standard of difficulty of the whole edition. This edition by Rosalind Halton is based on two mss in the Santini Collection in Munster. The cantata dates from June 1699. This edition comprises score and parts, with the keyboard part realised. A full translation is also provided. A fabulous piece for singer and basso continuo, this edition prepared by Nicholas Routley features some extra sections not normally found in other editions. These sections occur in only one or two manuscripts and are usually ignored. 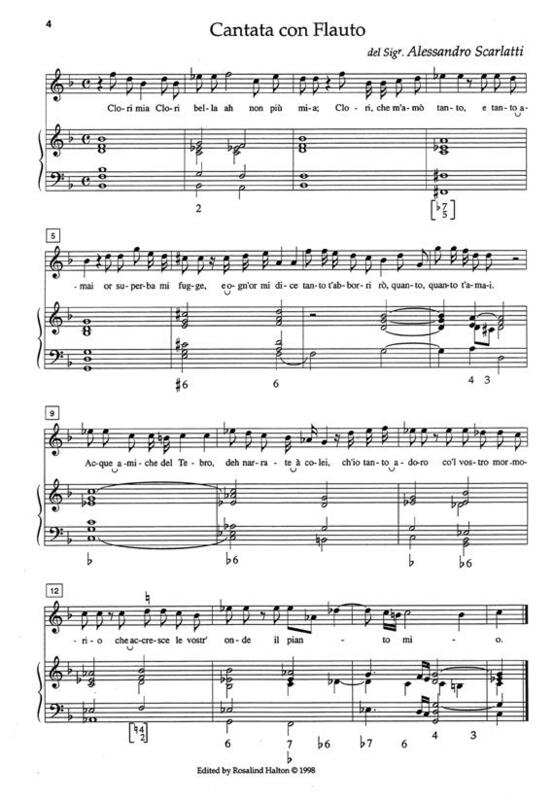 The accompaniment is realised, and there's a part for the singer with the figured bass. 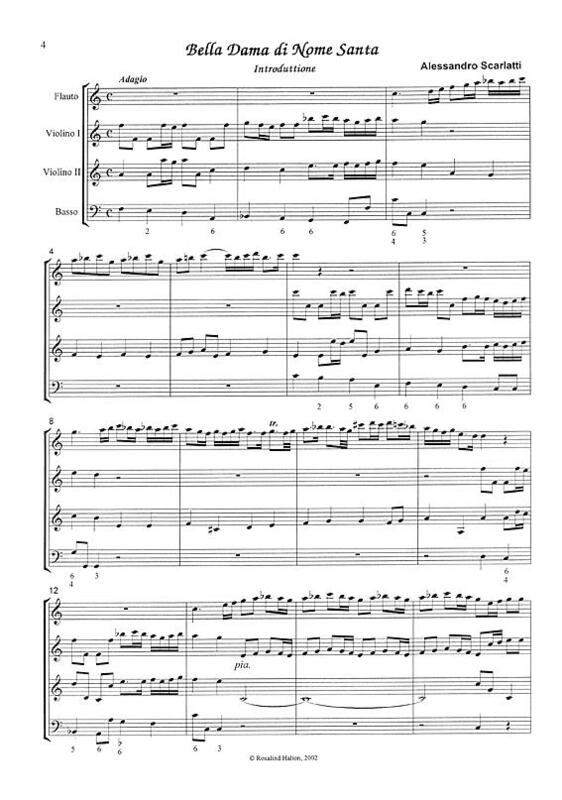 A cantata for male alto voice, recorder, two violins and b.c. Edited by Rosalind Halton, this is great new repertoire for any countertenor. See other editions in the viol consorts section. Plenty of editions for voices and viols! 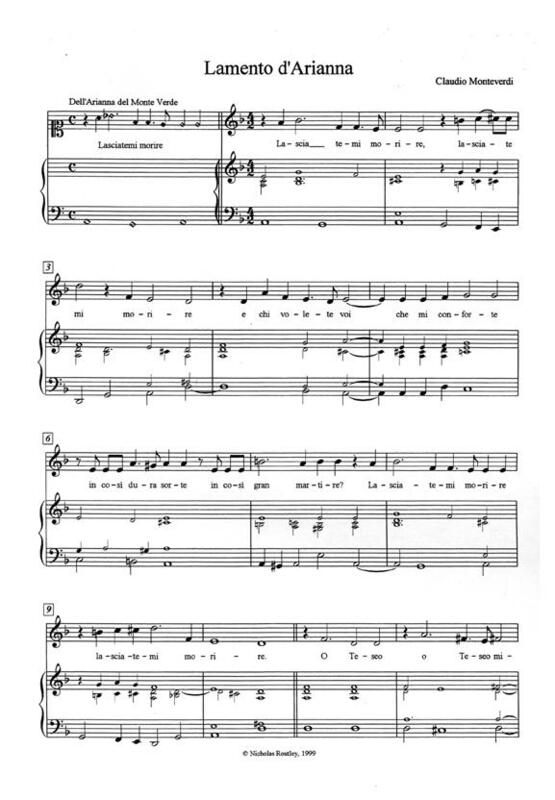 Some, such as SM21, 32, 33, 38, 41, 56, 74, 86 and more are transcriptions of vocal works, and include full text which would allow performance with one or more singers with viols.